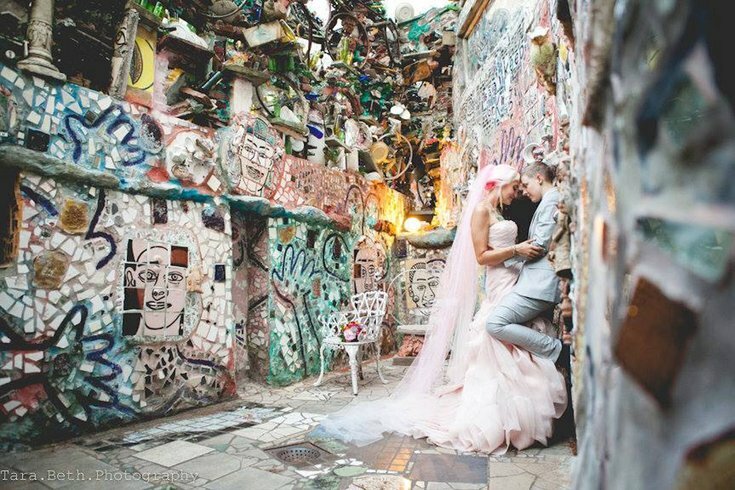 Jeannine Sloane-Wilby and Robin Wilby celebrated their wedding day at Philadelphia's Magic Gardens in August. 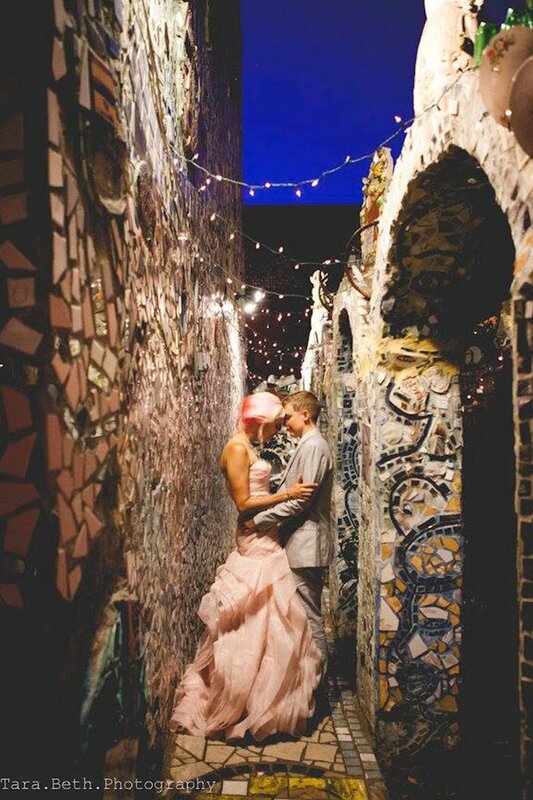 Philadelphia's Magic Gardens (PMG) proved to be a magical venue for Robin Wilby and Jeannine Sloane-Wilby's do-it-yourself wedding in August. In an interview with RockNRollBride.com, the queer couple (gay, female identified Jeannine and gender/queer, trans identified Robin) said they wanted to craft their wedding to reflect them as a couple. The couple incorporated recycled materials, hand-picked floral arrangements and gender-neutral language to create a one-of-a-kind experience for their special day. Jeannine walked down the aisle in a blush pink Vera Wang gown. 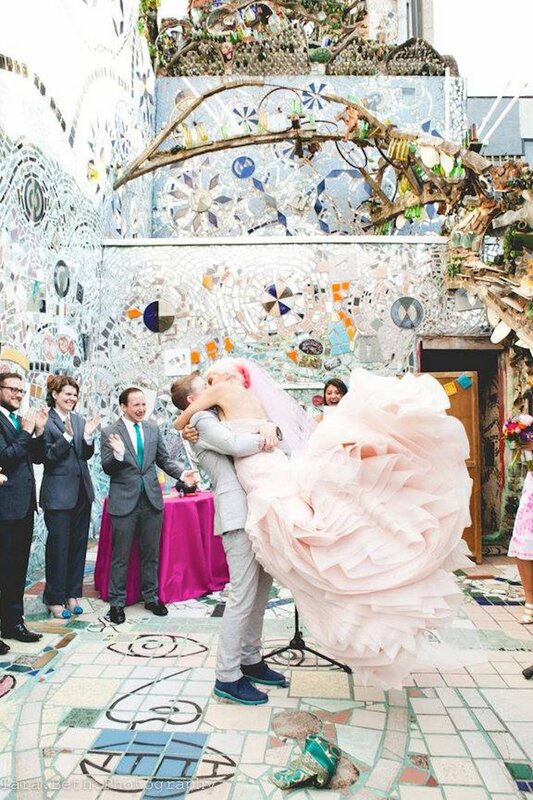 Her hair and veil were both dip dyed in pink to match. Jeannine’s sister, Daniella, officiated the outdoor ceremony, and a close friend performed a cover of their first dance song. 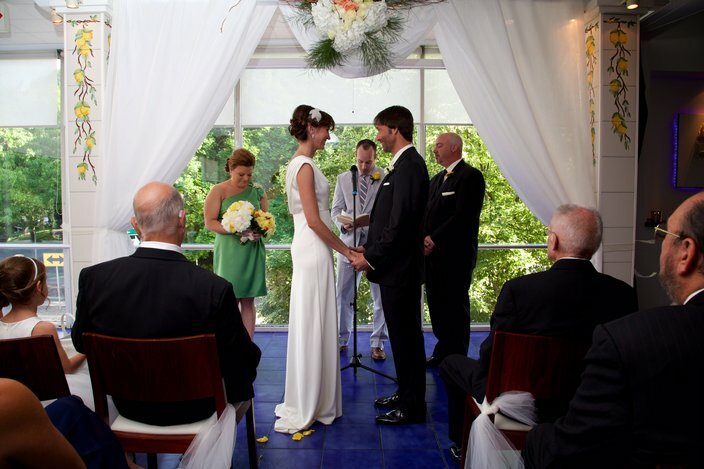 The couple told RockNRollBride.com that catering was their biggest wedding expense. PMG is open to visitors daily.